Dr. Hanchett and his staff are the best! They care and are on top of things. I rate them a 5 star dental office. Very friendly office staff and dentist. Highly recommend. Always a great experience at Dr. Hanchett’s office.....painless, patient, and understanding. Next, Dr. Hanchett will carefully check the completed veneers for proper color matching and fit. 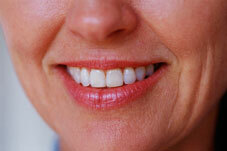 Composite veneers can be applied during a single office visit. After careful discussion of desired results and options for treatment, Dr. Hanchett will help you choose the correct color for your veneer.